KandiLand was founded by Dj and audio engineer Jacob Shatto. 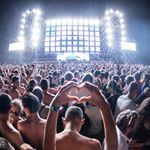 Based out of Kansas City, the store focuses on providing festival and concert goers with the ultimate products to party and make long lasting memories. KandiLand uses a dropshipping method through our trusted suppliers. We fulfill these orders upon your behave electronically and ship it to your address. We use the epacket shipping method for products from over seas countries to the United States. Estimated shipping times are normally 10-25 days after shipping out from the supplier.